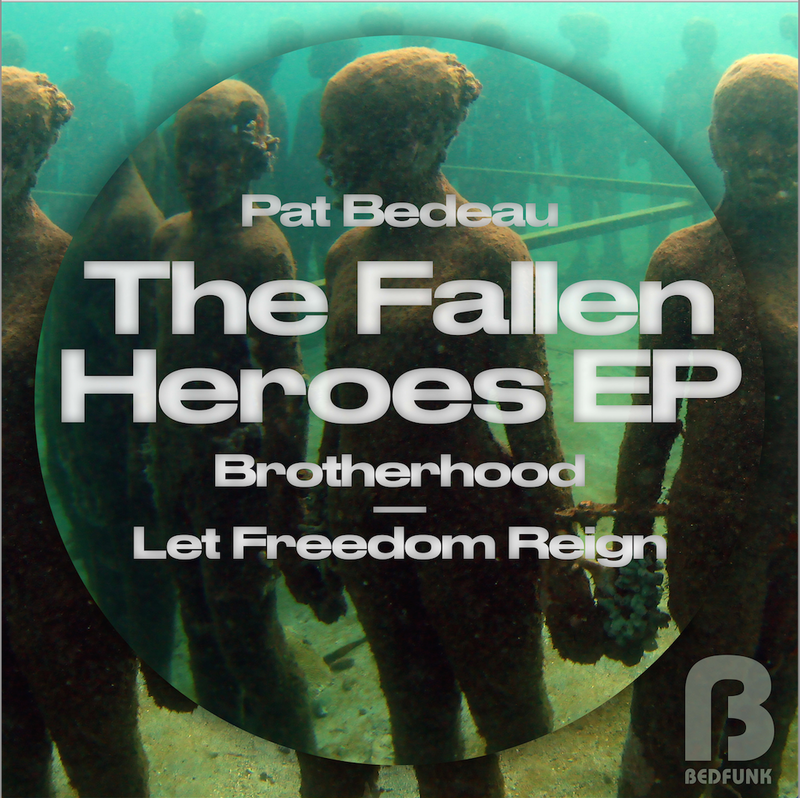 Bedfunk The Fallen Heroes EP Out NOW!! The Fallen Heroes EP Out NOW!! A release that pays musical homage to the great Malcolm X and Dr Martin Luther King. With a topical theme calling for unity and freedom amongst all men running through the EP, ‘Brotherhood’ is deep hypnotic groove that features samples from Malcolm X’s speech from 1964 Oxford Debate. ‘Let Freedom Reign’ samples Dr Martin Luther King’s “I have a dream” speech, which is laid over bubbling deep and infectious jazzy groove and teased with a dramatic breakdown. The release date for ‘The Fallen Heroes EP’ is actually set as March 26th, which is anniversary of when Dr Malcolm X and Dr Martin Luther King met for the first and only time in 1964. The sleeve artwork is also topical and comes from an underwater sculpture by artist Jason deCaires Raylor in the Carribean sea off the cost of Grenada, which pays homage to African slaves thrown overboard during crossing on the slave ships.